In all my makeup wearing years, I have never exactly understood the significance of make up brushes until my first day of Personal Makeup Course at Maquillage Professionnel last month. 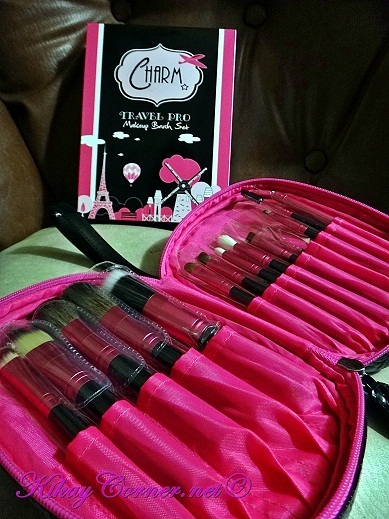 Before Charm Travel Pro V.3 Makeup Brush Set, I used to own a decent one that I bought on a whim but never got to use as much. All because I really was clueless how. I tried to use them for what they are for (thanks to YouTube), but always find myself going back to my good ‘ol fingers to do the job. Not this time. I have come to acquaint myself to each and every brush. Thanks to my teachers over at Maquillage Professionnel, there really is nothing like a professionally done canvas. Just to give you an idea, the hubby is so convinced even that he allows me to apply on him his BB cream (it’s his SPF cream) with the stippling brush. Even he can see the difference of how much smoother and more even the application is using the stippling brush. 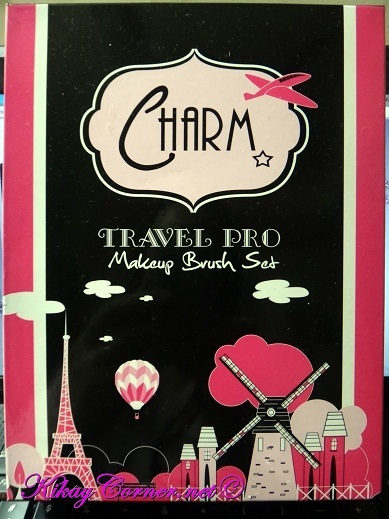 The Charm Travel Pro Makeup Brush Set comes in this sophisticated packaging which practically spells all the fab places you can bring your kit to. It’s way too pretty I can’t bring myself to stash it in the bin despite its now battered corners.